The Taubman Museum of Art is pleased to present a major solo exhibition of African American multimedia artist Sonya Clark (American, born 1967). 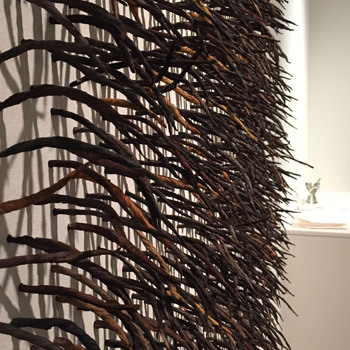 Throughout her career, Clark’s work has featured hair and combs in the place of more traditional fibers and art making materials. She uses them to speak meaningfully about cultural heritage, gender, beauty standards, race and identity while transforming hair accoutrements into sculptural objects. 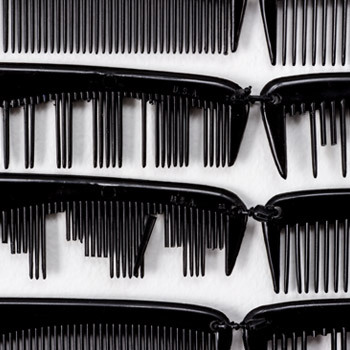 Through Clark’s new works, site-specific installations and performances created for the Museum, her exhibition explores hair as an indicator of race, social status, a symbol of age and authority, a statement of contemporary style, an object of beauty, and adornment. Clark holds an MFA from Cranbrook Academy of Art, a BFA from the Art Institute of Chicago and a BA in psychology from Amherst College. Since 2006, Clark has been chair of the Craft/Material Studies Department in the School of the Arts at Virginia Commonwealth University in Richmond, Virginia. Clark's work has been exhibited in more than 300 museums and galleries in Europe, Africa, Asia, Australia and throughout the Americas. Her work is in the collection of many museums including the Boston Museum of Fine Art, the Philadelphia Museum of Art and the Memphis Brooks Museum. Clark has received several awards, including a United States Artists Fellowship, the Pollock-Krasner Award, a Rockefeller Foundation Residency in Italy, a Red Gate Residency in China, and an 1858 Award for Contemporary Southern Art from the Gibbes Museum. She is the recipient of the 2014 ArtPrize and the Juried Grand Prize co-winner as well as a Smithsonian Artist Research Fellowship. 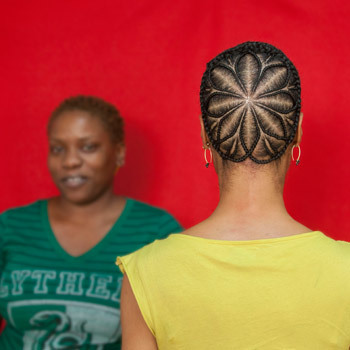 Follicular: The Hair Stories of Sonya Clark is curated by Amy G. Moorefield, Deputy Director of Exhibitions and Collections at the Taubman Museum of Art. Exhibition and education program support is provided in part by the City of Roanoke through its Arts Commission. 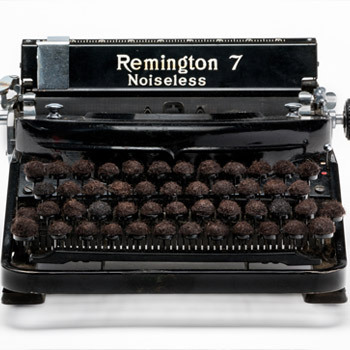 It is on view October 1, 2016, through May 14, 2017, in the Contemporary Gallery. 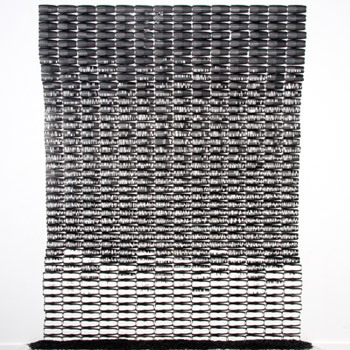 Toothless (and detail), 2014, Combs, 75” x 65” x 8” Collection of Mr. and Mrs. William Royall, Jr.